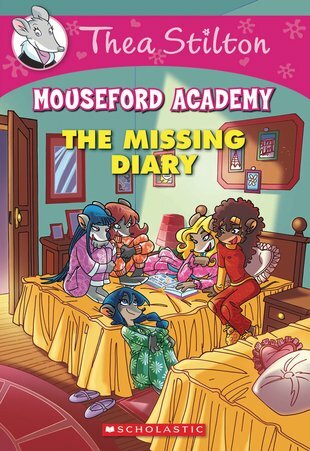 Midnight feasts, secrets and diaries read by torchlight… A classic mouse school adventure. We adore Mouseford Academy. It’s rather like Enid Blyton’s Malory Towers, but with theatrical mice. Now the Thea Sisters and their friends have decided to start a school newspaper. But then Colette’s diary goes missing, and sports reporter Nicky witnesses a suspicious finish during the Iron Mouse Games. Can the Thea Sisters solve these mysteries and make their deadline for their paper? I love thea stilton books they are so interesting they make u just wanna sit down forever and read read read !!!!!! este libro pienso que me entretenera mucho en mi casa y el colegio.